Shrimp's Oh! Strip! Show is turning TWO this year, and we want nothing more but to celebrate with all of you! We're bringing incomparable talents from across the state of Ohio for a ONE NIGHT ONLY event! 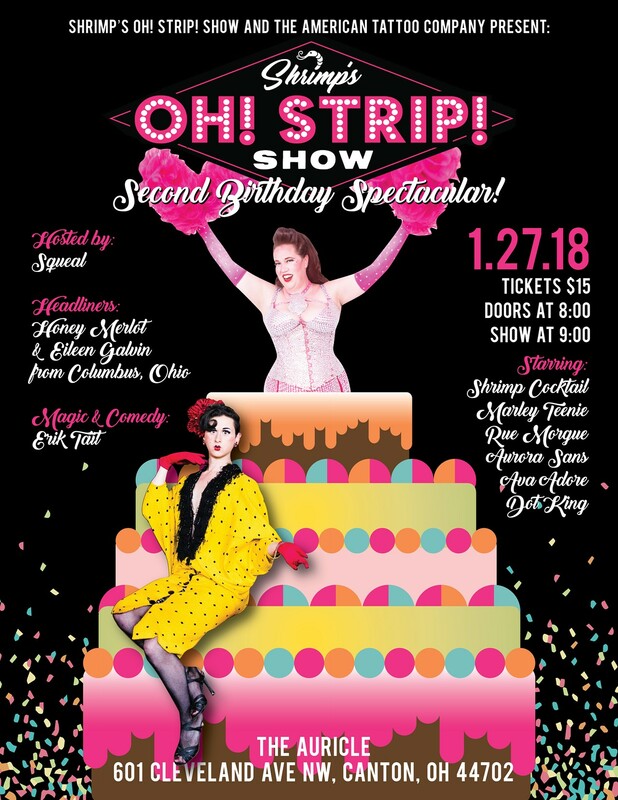 Hosted by Squeal of Pinch and Squeal, Headlining Honey Merlot and Eileen Galvin from Columbus, Making Magic and Jokes, Erik Tait, also starring Shrimp Cocktail, Dot King, and your favorite Cleveland gals!